Learn how you can help prepare your children to successfully manage money. We all want our children to make smart financial choices and not take what they have for granted. Raising financially literate children is an important way to help set them up for success in life. In a recently published Wells Fargo Private Bank survey, examining the financial attitudes of children of millionaires, a notable percentage of those surveyed showed a lack of financial confidence. Those in the 16 to 17 age group gave themselves a B average for budgeting, a B- average for managing credit and debt, and a C+ grade for other financial considerations. So what are some things you can do to help prepare your children to successfully manage money? First, start a conversation about basic finances. Are there things you notice about how your children manage their allowance? Do they spend money on the right things? Do they understand how to use a credit card and how interest can compound to make their bill much larger if they roll over a balance? Do they understand how much car insurance and maintenance costs? Discussing simple concepts to help them learn how to manage money effectively when they leave for college or move away from the family home will help set them up for long-term success. Second, once you think your children have mastered the basics, you can introduce them to more sophisticated topics such as how to manage investments. In our survey, teenagers and young adult children, specifically daughters, gave themselves a failing grade on understanding how to invest. At this stage, you also may want to consider introducing the idea of the values that are important to your family that may extend to philanthropy. 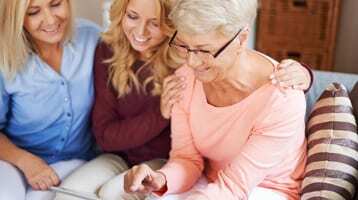 Discussing what causes are important to you as a family can provide a shared purpose and better equip your children to eventually manage family wealth. And, lastly, hold family meetings regularly. These meetings can be a great way to create an environment where family members can ask questions and you can provide answers in a constructive and nonjudgmental way. They also can be a forum to discuss family finances, legacy, or charitable giving. For successful family meetings, establish guidelines ahead of time to help remove the emotion that sometimes occurs during conversations about money. It’s never too soon to begin talking to your children about how to manage money. By having open family dialogue and introducing a shared family purpose, you will be helping to secure not only the long-term future for your children but also of your family’s wealth across generations. To learn more about how Wells Fargo Private Bank’s Family Dynamics Team can help your children build sound financial skills, contact your financial professional at Wells Fargo Private Bank. Thank you for joining this podcast. Quiz: Does Your Generation Define What Matters to You? Parents can help shape their children's view of financial success by instilling healthy values. Generational differences within your family may be weakening your charitable impact. Here's how to uncover your shared values to do more good—together.